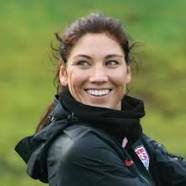 Hope Amelia Solo (born July 30, 1981) is an American soccer goalkeeper and a two-time Olympic gold medalist from Richland, Washington. 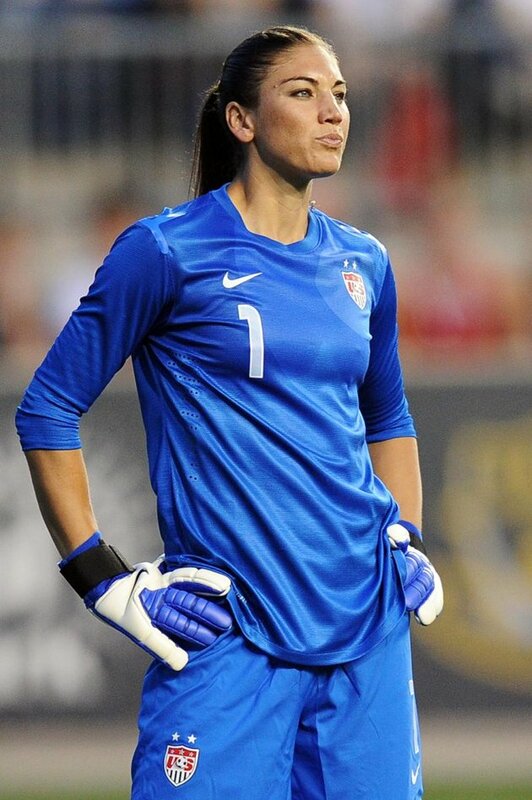 She has been goalkeeping for the United States women's national soccer team since 2000. 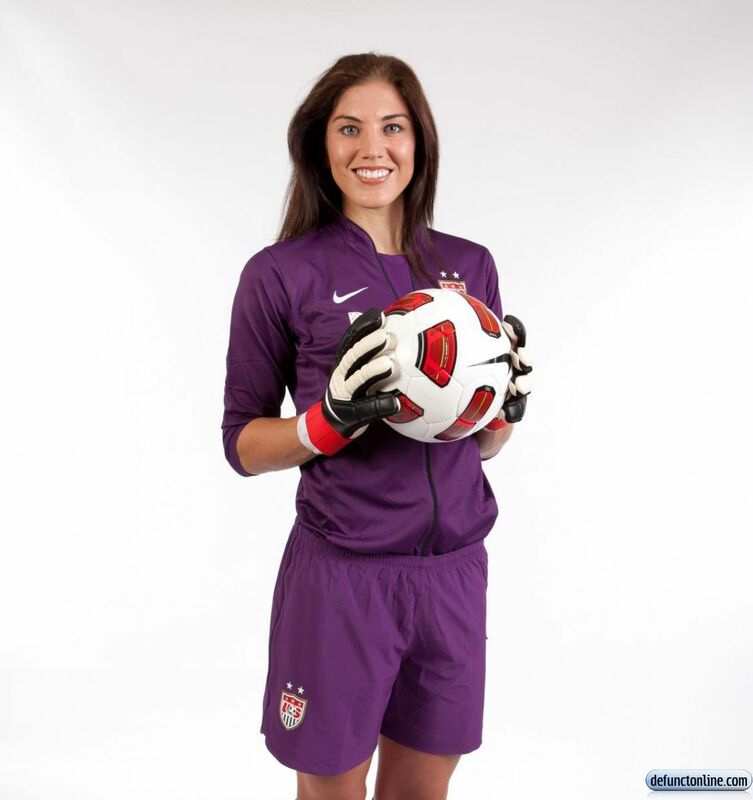 She played professionally for the Philadelphia Charge in the Women s United Soccer Association (WUSA). She traveled to Europe to play for the top division leagues in Sweden and France. 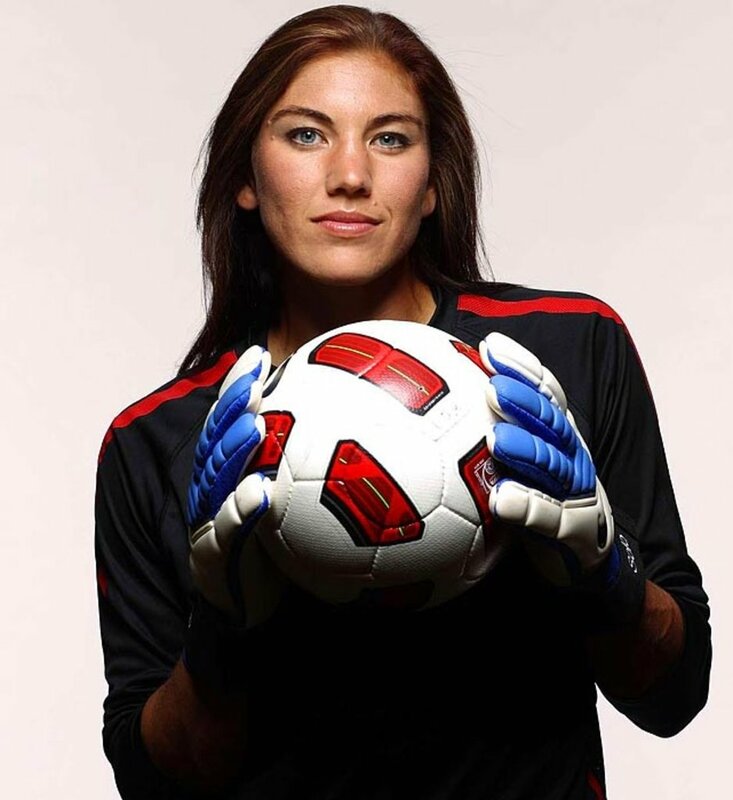 From 2009 to 2011, she played in the Women's Professional Soccer (WPS) for Saint Louis Athletica , Atlanta Beat and magicJack . 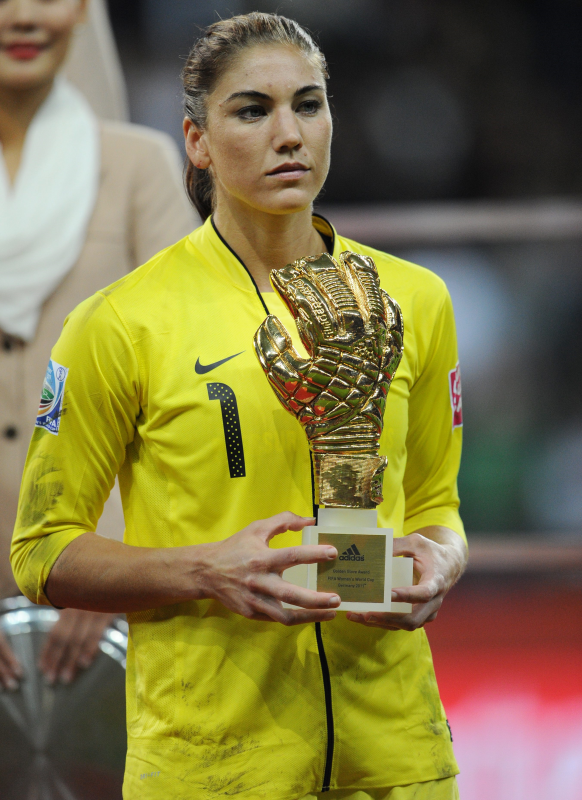 After the WPS ceased operations in early 2012, she played for the Seattle Sounders in the W-League . She currently plays for Seattle Reign FC in the National Women's Soccer League, the top division of women's soccer in the United States.